When we meet at her Rotterdam studio, Sabine Marcelis is just back from Design Miami. She’s under the weather, but it’s nothing a festive palm tree decorated by her team can’t fix: the Dutch designer’s candy-coloured resin objects hang playfully from the makeshift Christmas tree. Marcelis gravitates towards coloured artificial materials such as neon lights and resin made of polyester, but glass and marble also have a place in her work. ‘I like that there’s no way to control [every aspect of] it. You get what you get,’ she says. The founder of Salle Privée, Patrick Munster, ‘really understands what I am doing, how I love to experiment, and has given me free rein’, she says. After completing elements of the brand’s flagship store in Amsterdam in autumn 2016, Marcelis worked on its A/W17 Paris Fashion Week presentation, and art-directed its first perfume campaign. 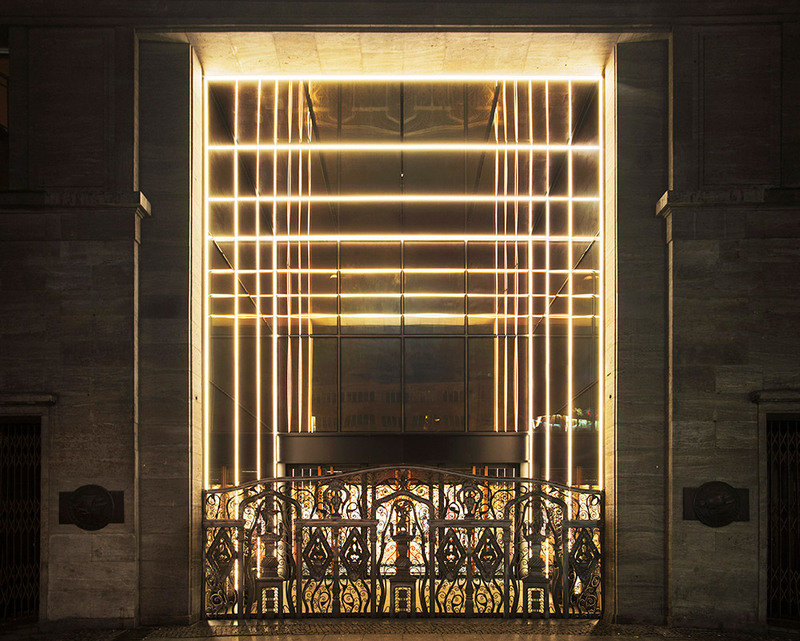 And her laminated glass, mirror and aluminium panels were used on the three-level interior of the Repossi flagship store on Place Vendôme, creating ‘diverse degrees of reflections and colour refractions’. The ’Dawn’ series is inspired by a time in the day where the sun, clouds and sky join to create a momentary riot of hues.